There was a time when juggling was simply a person throwing a handful of balls in the air and keeping them there. While it is skillful, there is not much you can do with it to keep audiences entertained for a prolonged period. However, presented as part of the Melbourne Fringe Festival, jugglers Byron Hutton and Joe Fisher breathe amazing life into the art form with a highly engaging circus show, aptly titled Jugg Life. 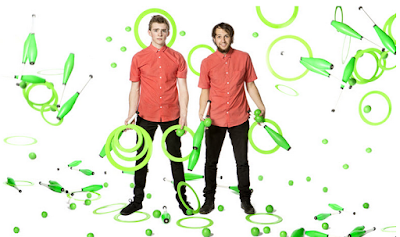 While the two use a variety of balls, juggling clubs and rings for their acts, it is the incorporation of music, percussion and their innovation in challenging what juggling is, that makes this show a definite crowd-pleaser. Their routines involve both some precision timing and the maintaining of impeccable hand-eye coordination not only with themselves but with the other, as objects are often passed back and forth while in mid-routine. The energy and chemistry Hutton and Fisher possess is infectious and watching them trying to one up each other during their "street fighter" combat juggling is highly enjoyable to watch. The two remain strongly connected throughout the show and the support they have for each other is evident. The set up of the stage elicits an environment of fun, with bright boxes storing their props and a drum kit sitting in the corner, and the way they use the latter further displays their juggling prowess. The music is perfectly suited to keep energy levels up and the choreography of the routines to the music - particularly with the Polyphonic! app where the two create their own electronic songs - shows the thought that has been put into Jugg Life. Usually, juggling might not be considered as wow-inducing as jumps on a tight rope or balancing upside down on seven chairs, but Jugg Life certainly closes the gap. 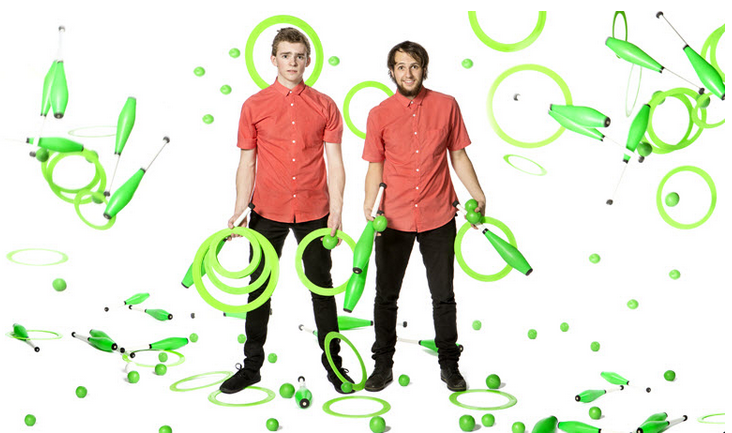 It’s a strong show by Hutton and Fisher who have taken juggling to a whole new exciting level.